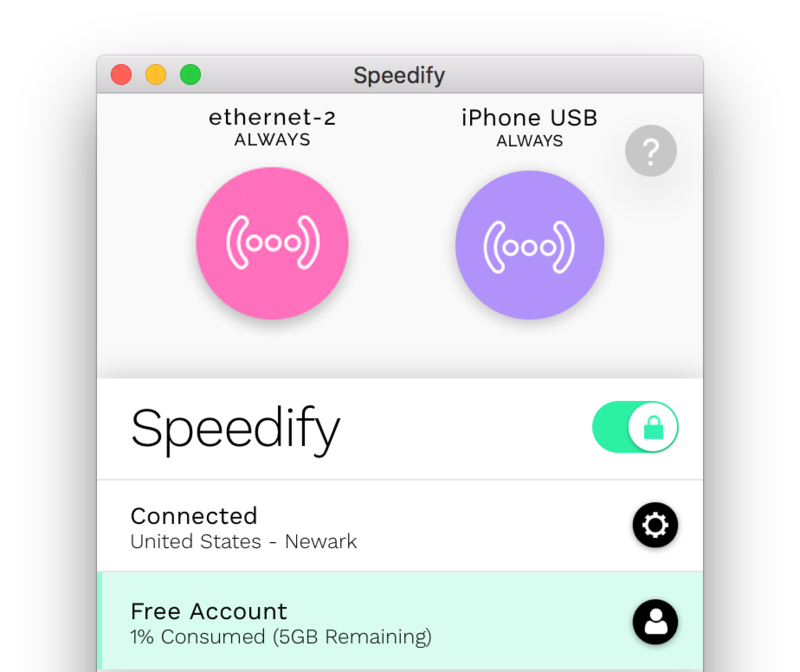 With Speedify, it’s easy to combine your wired Ethernet connection with the connection from your tethered iPhone on your Mac. This allows your Mac to use the cellular connection from your iPhone as an additional internet source. Step 3: Select the Ethernet connection from the list on the left, keeping in mind that it may be named according to the adapter you are using. Step 7: Now it's time to connect to your tethered iPhone. 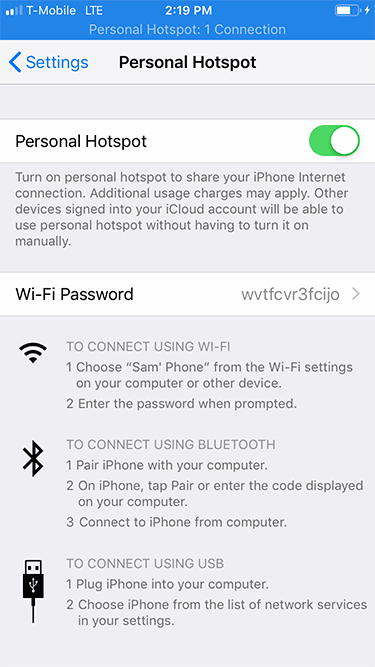 First, turn on your iPhone’s Personal Hotspot. To do this, open the Settings app and tap Personal Hotspot. Then toggle the switch on. Step 8: Ensure that you have the latest version of iTunes installed on your computer. Step 9: Connect (or “tether”) your iPhone to you Mac using a USB cable. When you do this, iTunes should immediately recognize your device. If an alert appears asking if you “Trust this Computer,” tap Trust. 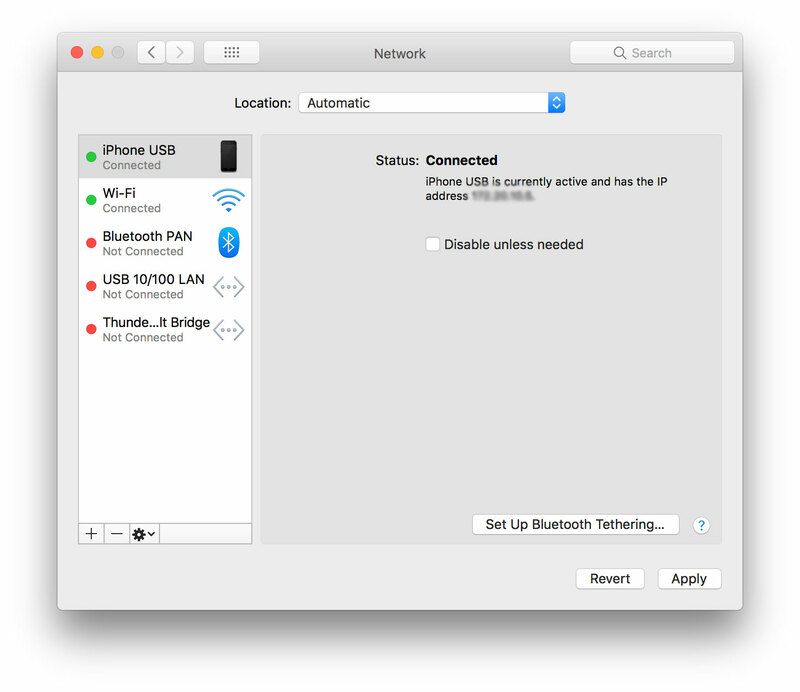 If you prefer, you can also tether your iPhone to your Mac using Bluetooth. Learn how here. 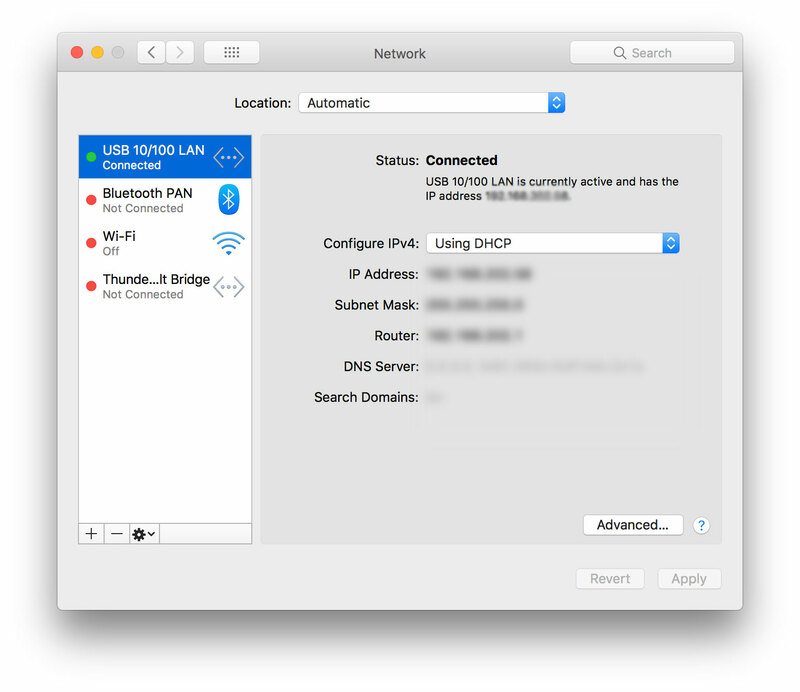 Keep in mind that Bluetooth is not typically the optimal method for tethering: it is limited to 1 Mbps (Bluetooth 4) or 2 Mbps (Bluetooth 5). If you have fast LTE speeds on your phone, you might get better results with the method described above. Step 10: Now it’s time to get you connected! Open System Preferences on your Mac. Then click Network and select iPhone USB. If you don’t see it, click to add it. Since you are already connected to Ethernet, your Personal Hotspot connection might not activate until you uncheck “Disable unless needed” under Status. Step 11: Combine connections by turning on Speedify. When you launch Speedify, the software automatically detects the Ethernet and tethered phone connections. You will see them each contained in a Connection Bubble near the top of the Dashboard.